Brandon and his brother were found in a city shelter. The brother got adopted, leaving Brandon behind with a broken heart. 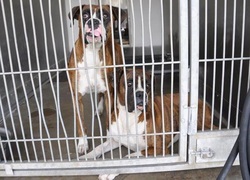 We are now hoping to find the best family ever to heal his little sad Boxer heart. Will it be you?